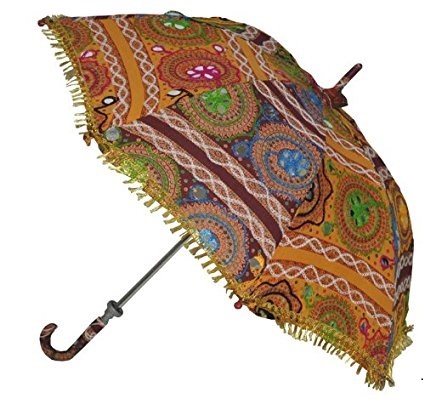 This is the perfect parasol to carry over your shoulder on a sunny day. 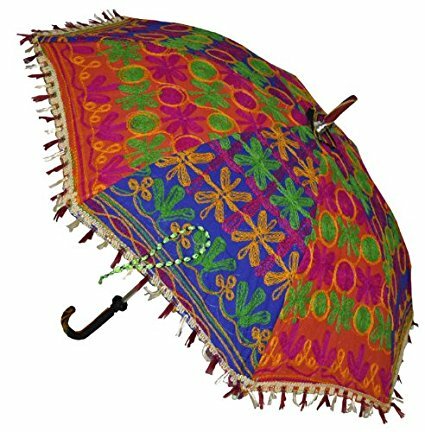 This brightly and vibrantly colored parasol features brightly colored hand embroidered patterns. 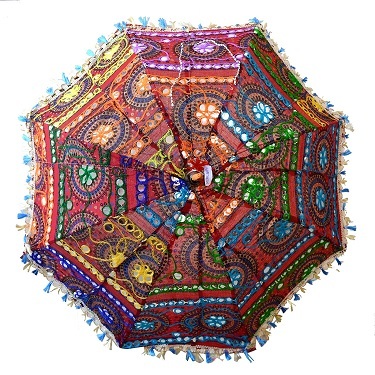 Each parasol is unique and features assorted embroidery patterns and colors. 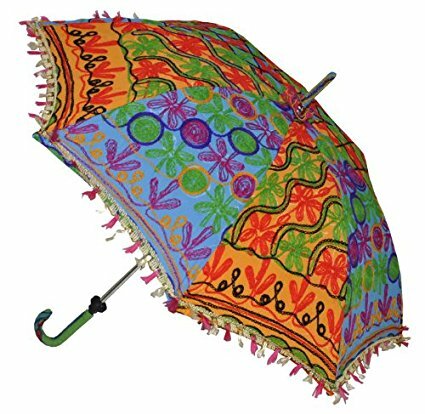 This is not a waterproof parasol so don't bring it out on a rainy day unless you plan on getting wet. But with the parasols' shiny mirror sequins, it twirls and sparkles brilliantly on a sunny day. Comes in assorted patterns.